As most of you probably know, I’m off the trail healing up a foot. I have been off now for—oh, man—six weeks as of today. Sheeeeeyit. That’s like, half as long as I was out there! I’m missing the trail like crazy, and I’m pondering why that is, given just how cruelly it treated me toward the end. And, if my foot healed magically overnight and I went back on tomorrow, it would be harder than it was when I started in April because I’m in worse shape now. It’s weird being home temporarily. Because I’m headed back out in September, I’m not sending out my resume or actively working toward a new career—instead I took on some contract work to push out a bit further the date my savings will dry up. 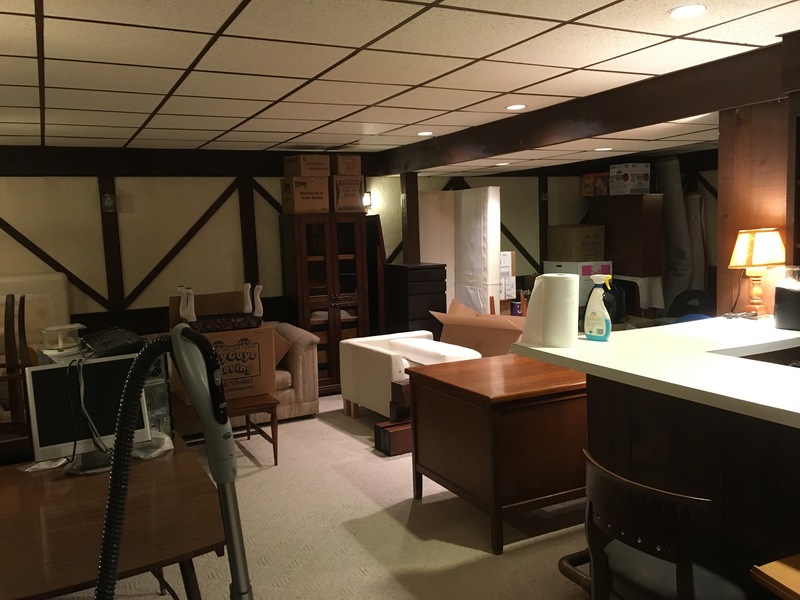 Also, I’m not looking for an apartment; instead, my boyfriend, Inti, and I moved into my parents’ basement (which is actually way more baller than you’re probably thinking). The first few weeks, I acted a lot like I was still out there. I wore the same clothes all the time, I didn’t put on make up or do my hair (though my boyfriend persuaded me to reestablish a deodorant habit). I showered only every few days. I ate anything and everything I could get my hands on, which, given that I didn’t have to carry it all everywhere, was quite a lot. It didn’t take long for the shine to come off of clean sheets, A/C, level surfaces, and roofs; I’m definitely taking these things for granted again. I tried to take healing into my own hands. 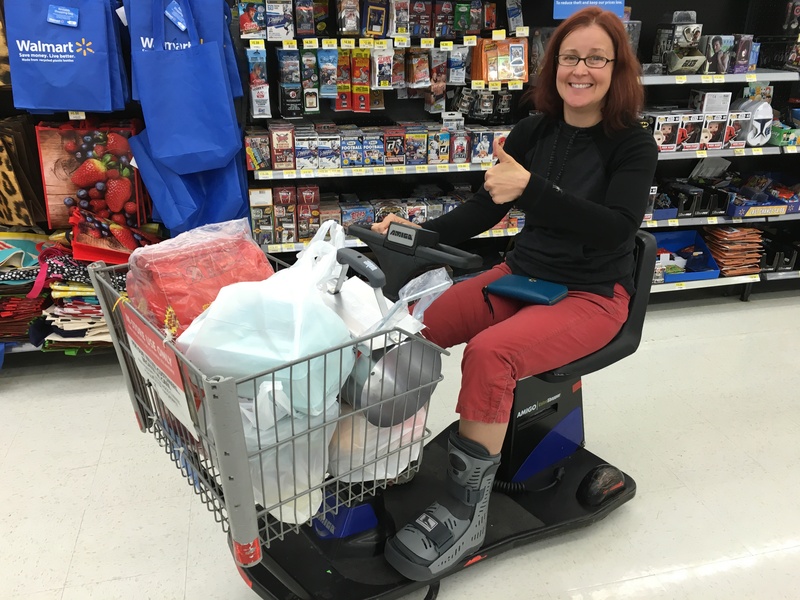 Although I was prescribed a boot, I stopped wearing it after a week, signed up for and did the first week of a 40-day power hot yoga challenge, and once or twice danced at karaoke. Okay, twice. Needless to say, my actual doctor was not impressed with my medical approach—nor was he surprised when I told him three weeks after my first visit that the foot felt no better. He prohibited yoga and issued a scary warning about surgery and six weeks in bed if I didn’t get back into the boot. So I’ve more or less been an obedient patient since then and lo and behold, the foot is finally getting better! A friend this afternoon called my walk “less wincing,” which is accurate, and I have been going for little neighborhood strolls (in the boot) and not feeling punished by pain for them afterward. I’ve also been unpacking my things at my parents’ house (we had stored all our furniture and boxes in their basement when I set off for Springer) and getting settled in here as well as helping them move things around, so there have been lots of trips up and down steps (in the boot)—none of which activity seems to be leaving me the worse for wear. AND it is glorious to have a quiet, clean place to write and work—on my own actual couch, which is one of the material objects I own that sparks joy. But back to the musings. I miss the trail, but in many ways I hate the trail. It always seems to me when I look at other hikers’ postings about their progress, their milestones, their achievements, and even just their everyday stuff, that my misery out there is more abject than theirs. So why the hell am I planning (with a pretty high degree of certainty) to head back out? Well, there’s the unignorable call of it. I just miss it. I can dissect this feeling and point to particular moments of wonder, glimpses of glory, but it’s broader and deeper than that. I can write about the freedom, the lack of responsibility, the freedom (yes I said “freedom” twice). There’s the simplicity of carrying everything you need—EVERYTHING—on your back. Nothing can compare to the beauty of that simplicity, nothing. I could never have imagined how powerful it is to viscerally experience just how little I need. A friend suggested there was a clarity out there in the beauty, and she was on the right track, but the word that comes to my mind instead is purity. I’ve never felt so close to the bone for so long, so often, so repeatedly. Everything out there is so goddamn raw. I cried out there almost every single day, and since I’ve been home I’ve cried exactly none times. How is that possible? There’s nothing in nature to numb you, for one. Back home I’ve got sugar, I’ve got Facebook. I’ve got solitaire and carbs, imgur and gin. But being on that edge, there’s something to that. Something, maybe, addictive? I recall one day after climbing up away from Watauga Lake on the first truly hot and hideously humid day of my hike, I reached the instant at which I felt my body burn through the last of my breakfast, and I looked for a rock or a log on which to sit and eat a protein bar and a luxury banana (since it was the first day out of town). It took me another 15 or 20 minutes to find that spot, but once I finally did, I took off my sweat-soaked shirt and draped it on a branch. I sat down and felt a breeze whisk the sweat off my torso. I gulped half a liter of water at once and tore into that banana and that protein bar and … ahhhh. I felt all the restorative, necessary things happening to my body, like a video game character powering up or wilted flowers going into water with fresh-cut stems. And for now I think I’ll just leave it at that. My body, heart, and soul are remembering that and craving it. It’s not here under a roof, on a leather couch with lavender-scented armpits. It’s out there on the rocky, rooty, leafy, dirty ground. Rock on! Looking forward to your posts from the trail again! Thanks so much, Encourager! Loved our morning together walking out of Hot Springs. Your chatter really buoyed me! There are so many sentences in this that I would highlight if I were reading this on my kindle. You are such an amazing writer. That picture of you on the scooter is adorable.